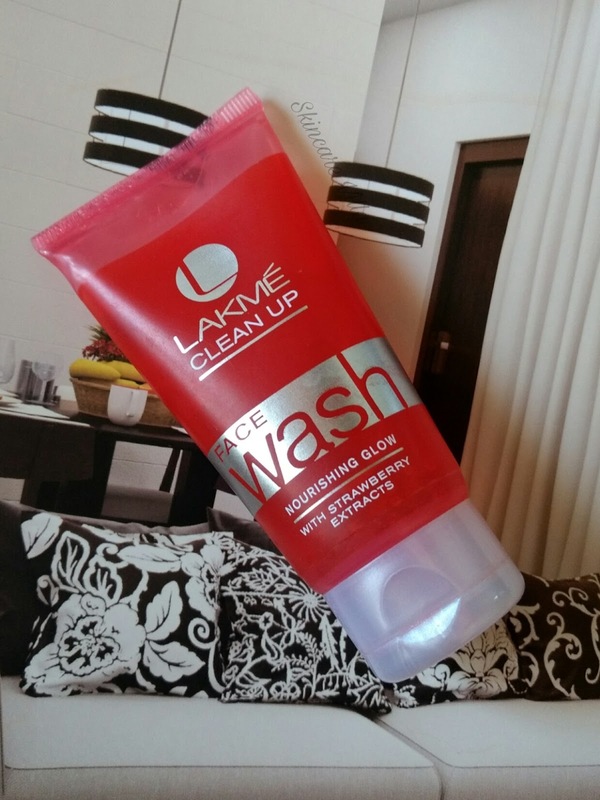 The Lakme Clean Up Facewash Nourishing Glow with strawberry extracts is the only second product I have tried from the brand after their compact powder. Some of you might be awestruck, but for someone has been following by blog, this may not come as surprise. Basically this facewash was picked up due to it's cute packaging and strawberry extract label. I would dig deep into the packaging and all things, since this isn't a new launch. Brand claims - With goodness of strawberries, wash away all visible dirt, impurities & pollution. 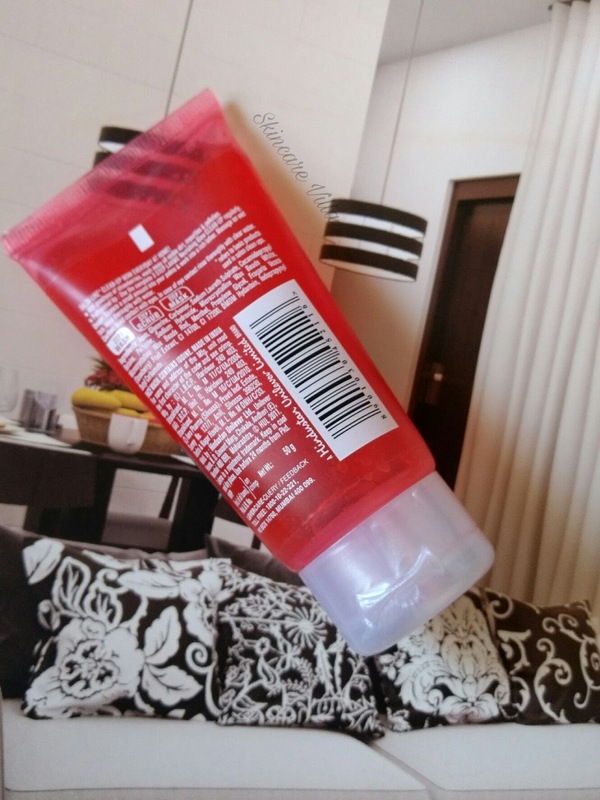 The facewash is red coloured with a thick gel consistency. The facewash takes some time to dispense from the tube. The facewash reminds me of red Close-up toothpaste. The consistency and colour is exactly the same. When I take a pea sized facewash on my palm and try rubbing it with water to foam, sometimes it gets attached to the hollow of my palm and refuses to foam 😛. I have to rub it with my finger and foam it. The facewash foams decently and lather up if rubbed a bit more than usual. Now coming to the effectiveness, the facewash makes the skin clean, fresh and smooth. The facewash doesn't dry out the skin at all, unless used in excess. 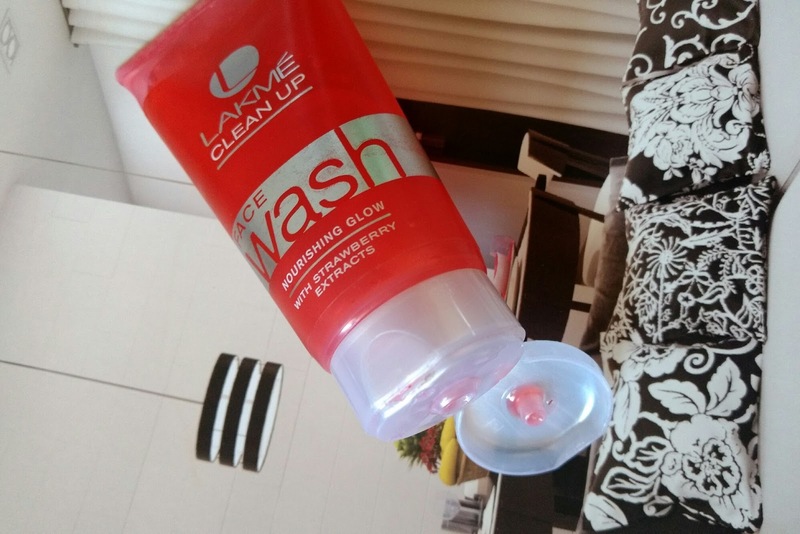 The facewash effectively cleanses and removes the dirt, grime and sebum. The facewash has small wax beads in it. Although the beads don't serve any purpose whatsoever. They are mere an addition to the ingredients list. Although they do melt when rubbed while foaming. They are added to give the effect of strawberry seeds I guess 😛. 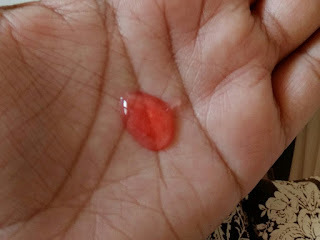 The fragrance of the facewash is yummy strawberry which isn't lingering nor bothering. The facewash contains strawberry fruit extracts. Overall the facewash is a good option to try out for a change. Moreover it's paraben free 😊😊. Price, shelf life and availability - 99 INR for 50g with a shelf life of 2 years. Easily available online as well as counter stores. Overall the facewash is a budget friendly product which will suit all skin types. The product is paraben free and has yummy strawberry fragrance which makes it a luxurious product. The attractive packaging makes the product tempting. A good option to try out for a change and if you are Lakme loyal .